A good duffel bag should make carrying things easier, without becoming a bulky and awkward burden. Granite Gear's Packable Duffel Collection begins with a good duffel, and improves it a step further. With a convenient packable design, smart features and weather resistant materials, these duffels push the limits of how truly functional and simple a duffel can be. A good duffel bag should make carrying things easier, without becoming a bulky and awkward burden. Granite Gear &apos;s Packable Duffel Collection begins with a good duffel, and improves it a step further. With a convenient packable design, smart features and weather resistant materials, these duffels push the limits of how truly functional and simple a duffel can be. Each packable duffle comes within a compact carrying case. After the duffel is removed, this carrying case can be used as a small compartment or toiletry kit. It can be attached to any of the duffle&apos;s many MOLLE lash points, or simply thrown inside the duffel&apos;s main compartment. When not in use, the duffel can be packed back into the carrying case for simple and compact storage. 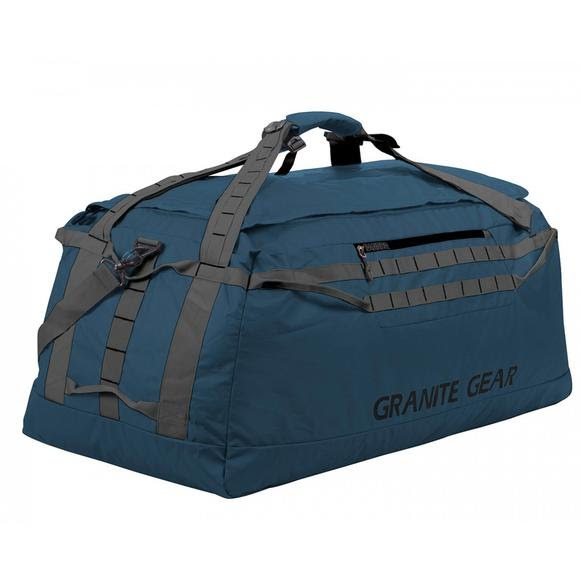 In addition to this usable carrying case, the duffel itself includes a U-shaped zippered main compartment with zipper storm flap, and a BARRIER zipper tricot lined quick access pocket. Each duffel can also be carried by hand using the reinforced duffle handle straps or as a backpack with its load-stabilizing and adjustable sternum straps.